A friend of mine has come into possession of some rather old alcohol. 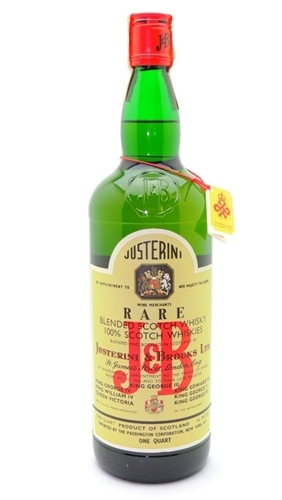 On one bottle of J&B Scotch, the label looks like this one from 1958 and not any of their later ones, but my friend's bottle has a screw-top cap, not a cork. As far as I can tell the label matches the picture on the page you linked and appears to have a screw-cap. Also, on the website you linked to, there are example bottles from the 60's and the 70's. Interestingly though, the 70's bottle has a different label than the one above from 1972. Given all of this, I would assume the switch to screw caps happened in the late 60's or early 70's and that the bottle your friend obtained is likely from the same time period. Not the answer you're looking for? Browse other questions tagged scotch distilleries or ask your own question.